Family constellations or systemic work is a way to find the (hidden) causes of a problem on the one hand and to check several scenarios for the future on the other hand. For themes that are related to our personal lives (relationships, illness, money, …) the term “family constellations” is used. For themes that are related to business and our professional lives (cooperation, customers, business flow, …) the term “organizational constellations” is used. For entrepreneurs, it usually boils down to a mix (see constellations for entrepreneurs). 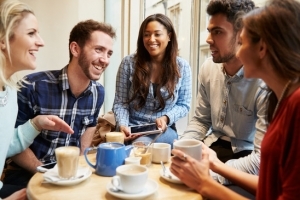 These are a few examples of situations (themes) in which family constellations, organizational constellations or other systemic work can be of support. If a certain theme (see above for examples) keeps showing up in someone’s life or within an organization, then the energy dissipates. A family or organizational constellation often offers a solution or at least insights what it is really about. As a result the appropriate action can be taken to get the energy flowing again. On the other hand an individual or organization can be facing several choices regarding the future. More insights in which reactions one choice or the other will generate with involved parties, the sensitivities regarding the topic of the consequences of the different options, will ensure that the choice becomes easier and the chances of success increase. As a representative you are not just randomly chosen for a particular role or element. This is always related to your own life (although the connection is not always obvious). Many times you will experience some insights or even healing in your own struggles or you will suddenly see extra options in professional or personal situations. 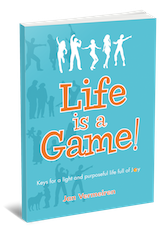 As a representative you also receive the rather unique opportunity to experience the three phases of life as explained in the book “Life is a Game!“. In particular phase 2 and 3 in which peace, calmness and love is experienced (which is for most of us not the prevailing state in our daily lives). In a constellation you will experience this and you will consciously and subconsciously receive indications how to experience more peace, calmness and love in your daily life, both at home and at work. On top of that being a representative offers you the opportunity to start trusting your intuition or gut feeling more. In our daily lives we offer doubt it. As a representative you will notice the difference between making something up in your mind and knowing/feeling it. Most people notice these differences even more when they participate more in family or organizational constellations. You could say that this sense becomes more trained so people become more familiar with it and hence trust it more. For a session for your group or an individual constellation: contact us. For more information about constellations in the professional domain: visit the page of organizational constellations or constellations for entrepreneurs.